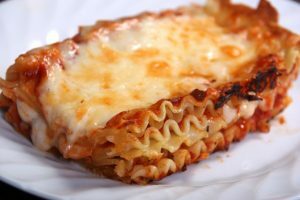 We cook PC lasagna and offer both meat lasagna and vegetable lasagna. These are delicious and just as good as we could make in-store. Served with our own garlic toast.